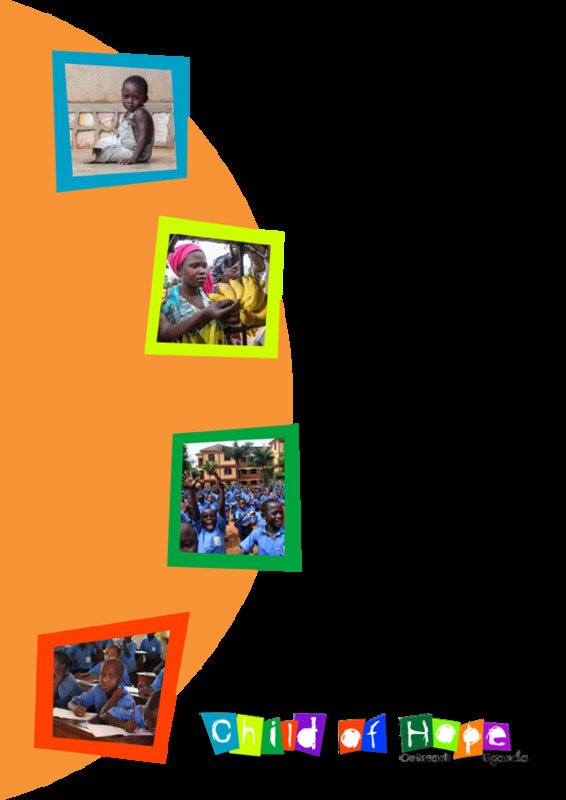 Our Impact Report for 2017 is now available for download… it summaries our achievements during the year, plans for the future and brief financial details. 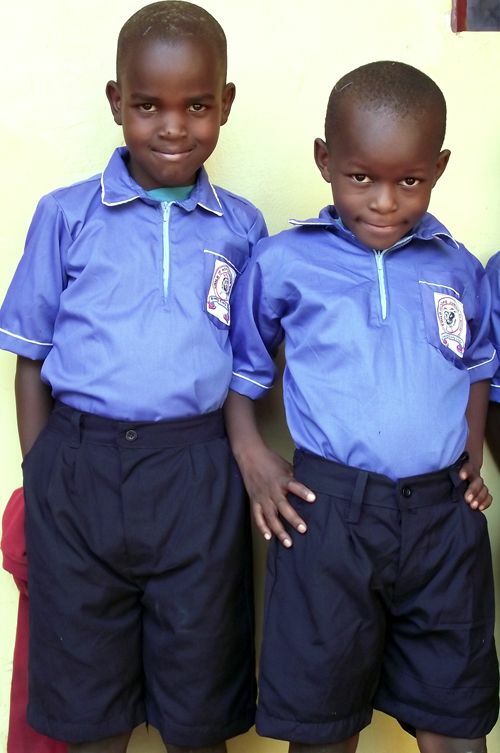 Proud in their new uniforms: these are some of this year’s Primary 1 children, who are delighted to be dressed in their new uniforms made by Sarah the school tailor. 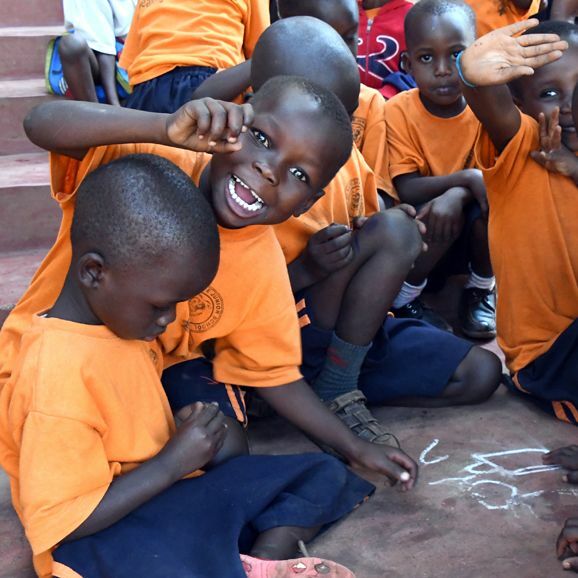 The health team has been de-worming at the school, a vital healthcare intervention that takes place here twice a year. 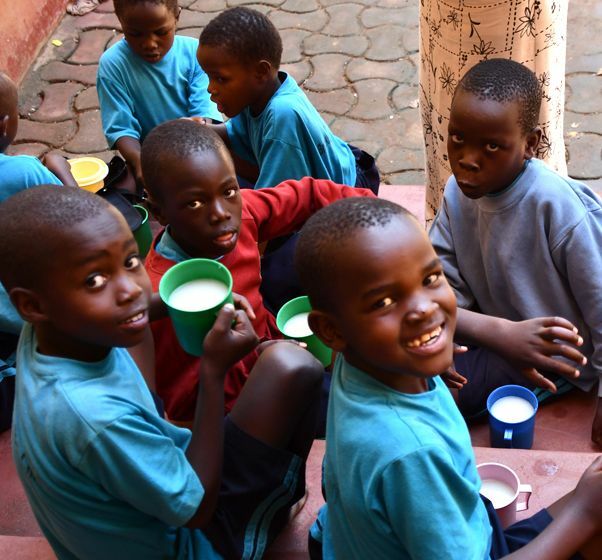 It is known that proper nutrition improves concentration in class, yet this is an impossibility for most rural families because of poverty and a range of challenges they face. 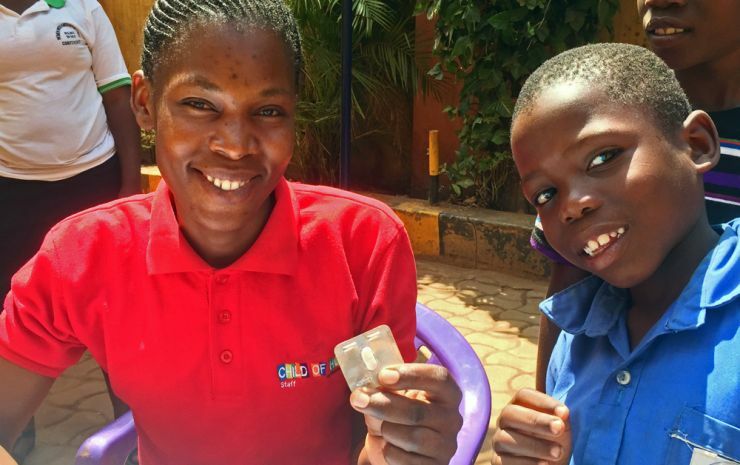 Yet – as reported by Uganda’s Daily Monitor newspaper – councillors in one district have just passed a by-law to punish all parents who fail to pack a lunch for their school-going children. Staff in the nursery section at our school have been developing highly-effective approaches to teaching literacy and numeracy – and this is enabling the children to achieve measurable greater success. Our school retention figures are amazing - we mention this because the problem of children dropping out of school is extremely common. 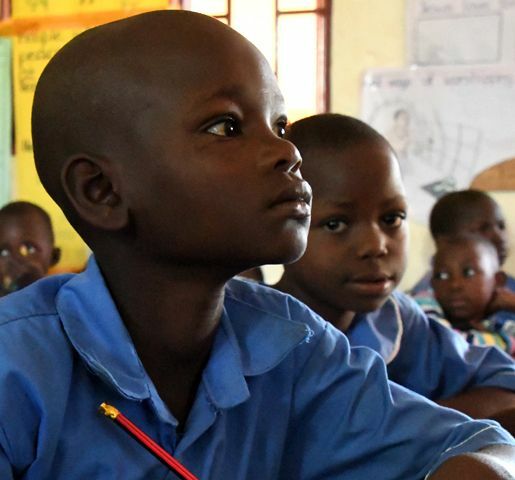 Our school drop-out rate is less than 1%, while official Ugandan primary school dropout rate is 47%. We have harvested a good crop of sweet potatoes that we grew locally as one of the ways we are creating a degree of sustainable income in Uganda itself. 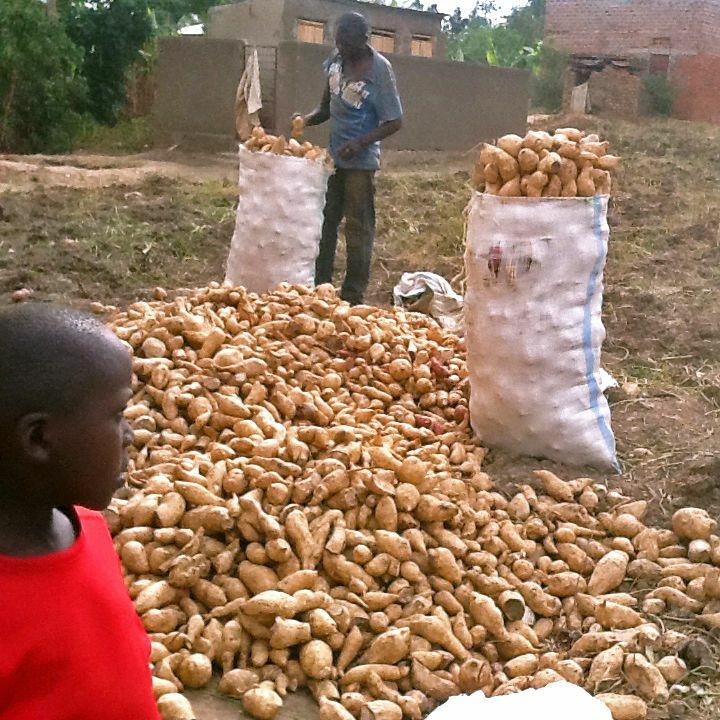 14 large sacks of potatoes were harvested and sold, with profit of around 40%. 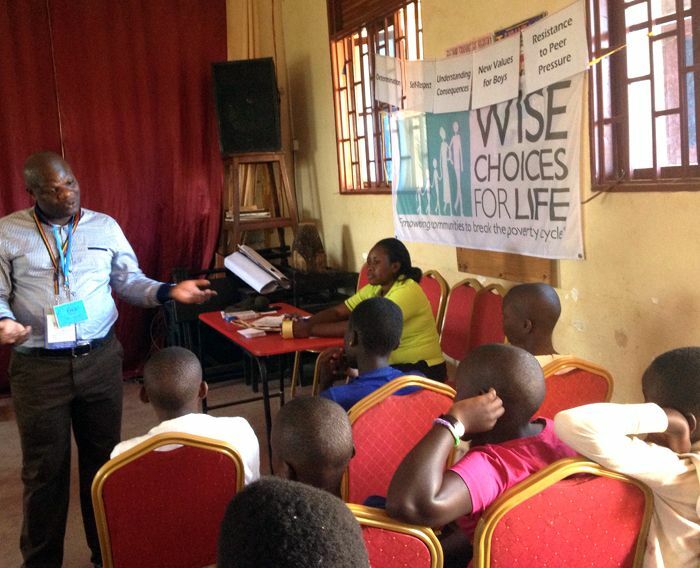 All last week our older children attended a special workshop to help teach them various life skills, including vital understanding regarding sexual issues. 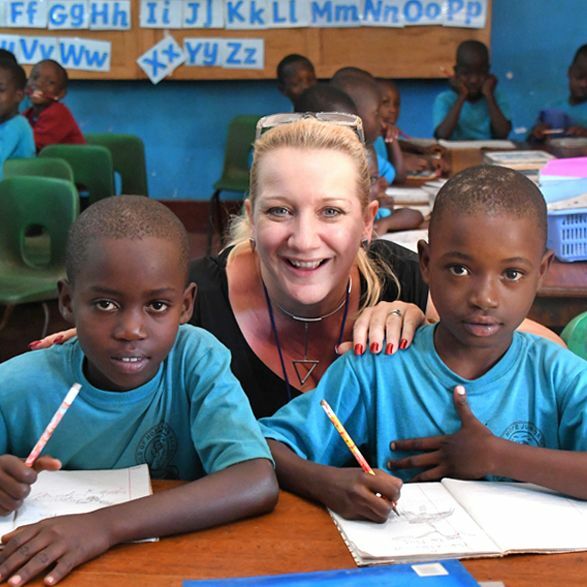 Our P7 children’s results in the 2017 Primary Leaving Examination (PLE) showed the best performance yet, reflecting the extra work we have put into training teachers and improved teaching methods. 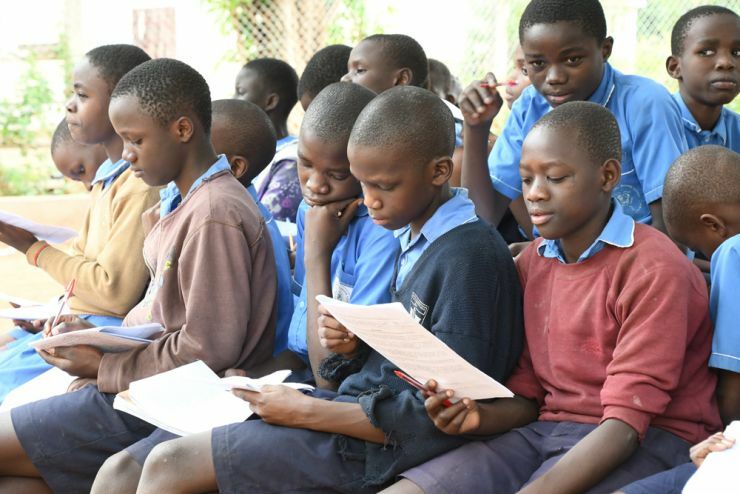 So yes – for PLE results – their success puts Child of Hope in the top 6% of the 13,275 primary schools in Uganda!